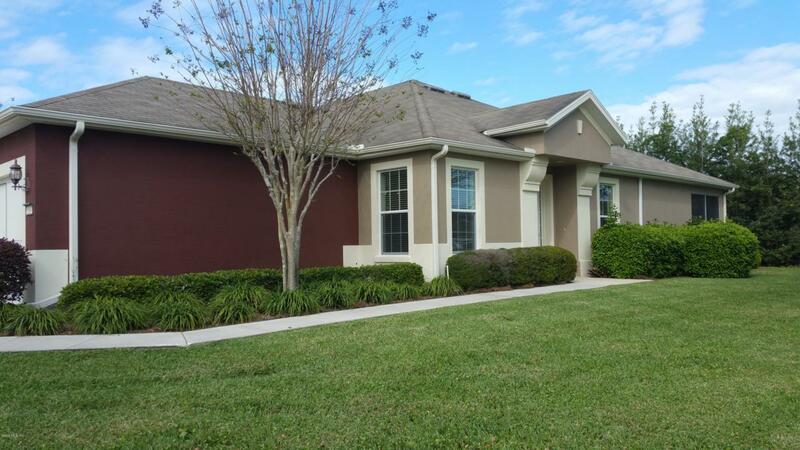 Beautiful Augustus Villa on an oversized corner lot in Ocala's premiere 55+ golf community of Stone Creek. Home offers open floor plan with 2 bedrooms/2 baths+den/office w/french doors & beautiful wood floors. Home includes**** ALL NEW STAINLESS STEEL APPLIANCES****, NEW WATER HEATER****, NEW GARBAGE DISPOSAL*****, NEW LIGHT FIXTURES***** and the CHA was replaced in 2016******. All solid flooring throughout except master walk-in closet which has new carpet. Kitchen has upgraded maple cabinets with crown molding and slide out shelves. Enclosed lanai w/upgraded sliders. This Villa is MOVE IN READY and is maintenance free on the exterior to allow you to enjoy all this wonderful community has to offer!HOA fee includes roof maintenance, exterior painting (every 5 years) annual pressure washing, exterior irrigation, water costs and repairs on any irrigation parts, weekly mowing and edging. 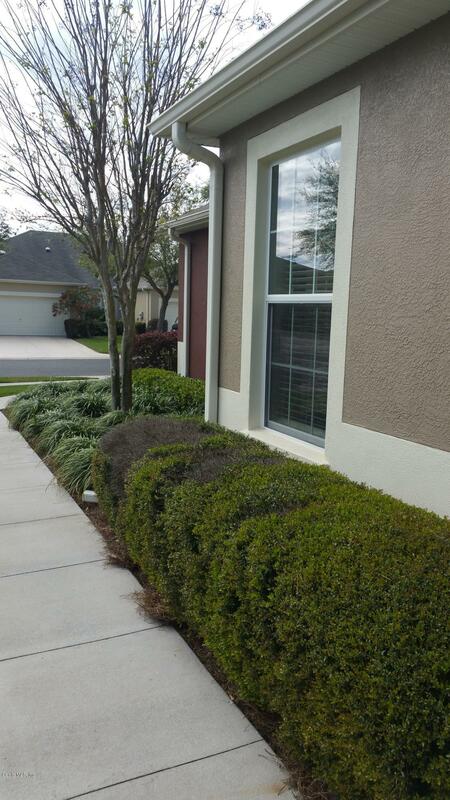 All landscape maintenance including pest/weed control, trimming of bushes and trees and mulch. All common grounds. Exterior building insurance and recycling and waste pickup and 24 hr guard gate. Listing provided courtesy of Karen Tennison of Tiki-Kat Realty, Llc.